Okay, so I definitely didn't need another mug. But, I just loved this simplistic, little heart mug. 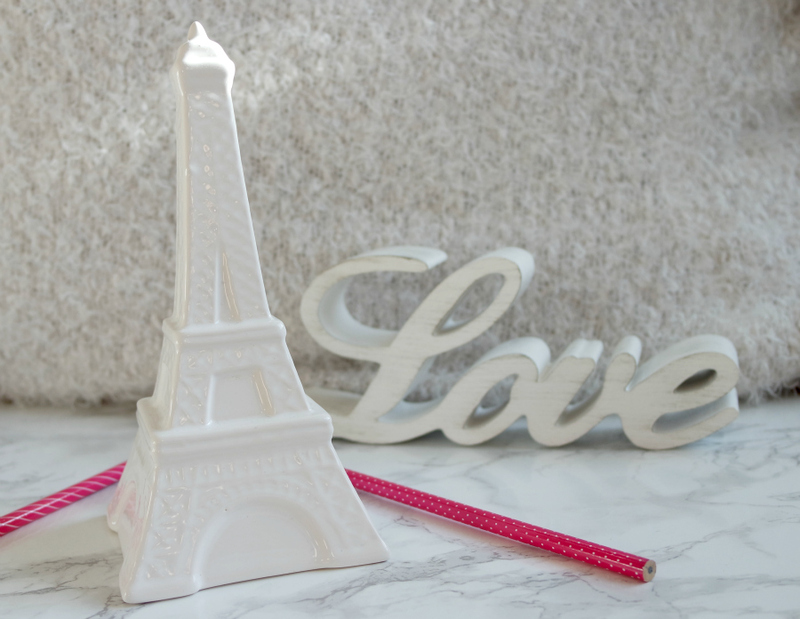 I think I might actually end up using it as a pencil pot as I think it will look super cute on my desk! I also picked up this bar of Divine dark chocolate with caramel pieces to pop inside it as it sounds seriously yummy and would be good if you're buying for someone who's maybe watching what they eat as dark choc is a little less bad for you then plain, old milk! 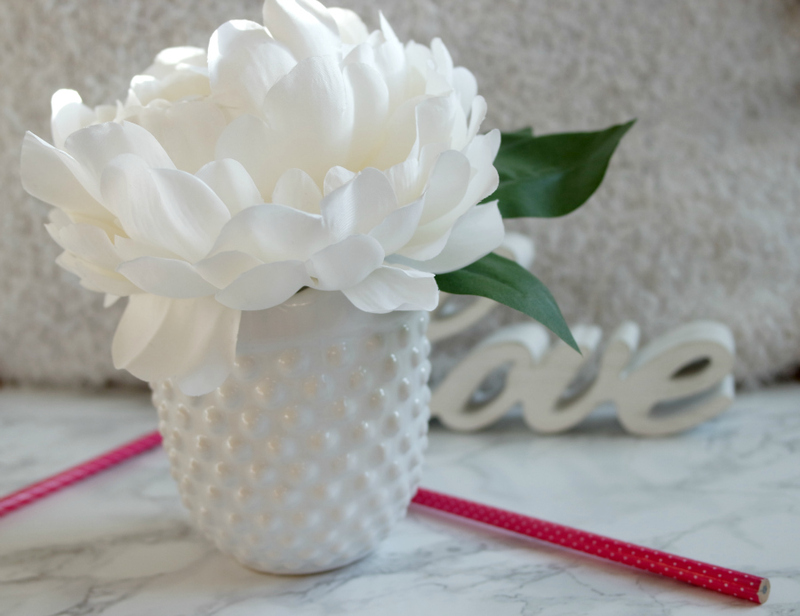 Finally, I snapped up this adorable faux flower in a white (of course) dotty, porcelain pot. Again, this will probably start to make it's way into my photos and I just love pretty and fresh it looks in my living room. I'm not sure if this is actually a Valentines day one off or not but, either way, flowers are always a good shout on Valentines Day and at least this one will last longer than the real deal! What do you think of my picks? 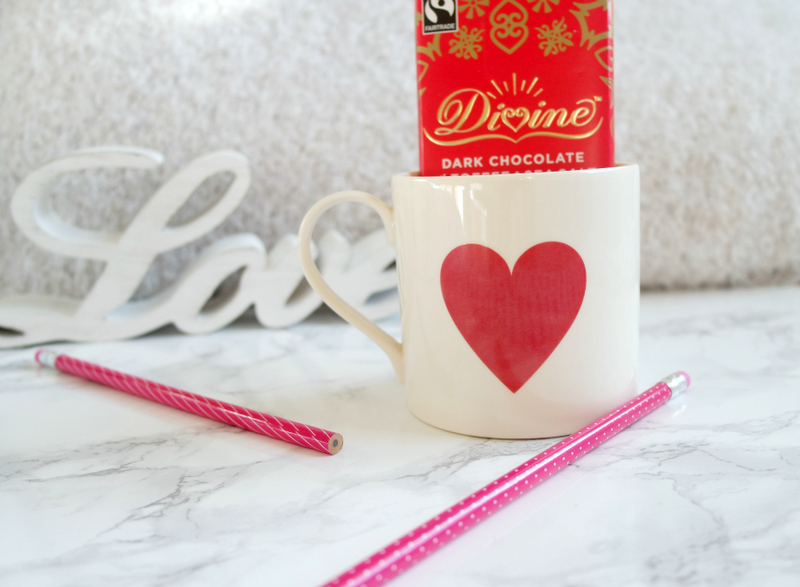 Would you like to receive homeware for Valentines Day? *Giftcard provided by Homesense, but all views my own, as always! Check out my February advertiser - Carly from Carly Wynn!